Craig Carton, co-host of WFAN's morning sports talk radio show "Boomer & Carton," has been arrested on investment fraud-related counts. John Chandler reports. 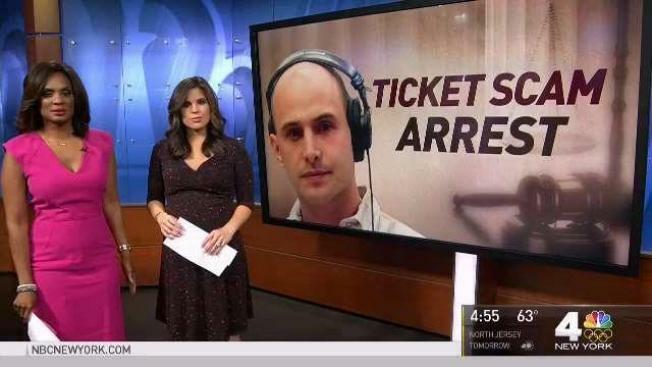 Craig Carton, co-host of WFAN's morning sports talk show "Boomer & Carton," has been arrested in connection with an alleged multimillion-dollar fake ticket scam, the gains from which he used in part to pay casino debt, officials say. The FBI arrested Carton, 48, at his home in Manhattan early Wednesday. 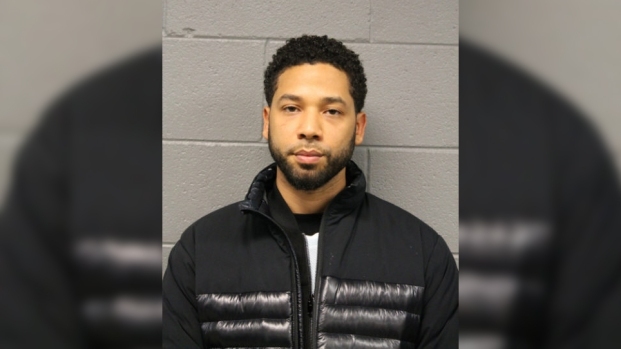 He was allegedly involved in an investment scam through which he, 41-year-old Michael Wright of New Jersey and an unnamed associate claimed to be running a discount ticket broker business that never existed. Charges of securities fraud, wire fraud and conspiracy to commit those crimes against Carton and Wright were unsealed Wednesday in Manhattan federal court. The two, along with the unnamed associate, allegedly ripped a few investors off of several million dollars. Carton, who was not on the air Wednesday, and Wright appeared in federal court later Wednesday. Each was released on $500,000 bond. Craig Carton, co-host of WFAN's morning sports talk radio show "Boomer & Carton," has been arrested on investment fraud-related counts, an official familiar with the case tells NBC 4 New York. Carton's lawyer, Robert C. Gottlieb, later said in a statement to News 4, "The government's allegations against Craig Carton demonstrate a gross misunderstanding of what happened. Craig is a victim who was deceived, manipulated and used by individuals seeking to gather assets for their own fraudulent schemes." Boomer Esiason addressed the arrest of his WFAN co-host, saying, "I am now aware of why Craig was not here this morning. Unfortunately, he was arrested this morning." Esiason said the station was cooperating with authorities and that he had little information for listeners. "I'm taken aback and surprised by it just like I'm sure everyone else is," he said. "There's nothing else I can say. I thought he called in sick this morning, but unfortunately my partner was arrested." CBS Radio announced Wednesday night that Carton has been suspended from WFAN pending its own investigation. Phil Simms will co-host alongside Boomer Esiason Thursday, and future co-hosts will be announced as needed. According to the complaint, Carton and the other defendants allegedly duped investors into giving them money, based on representations those funds would be used to purchase blocks of tickets to concerts that would then be re-sold on the secondary market. Carton and the unnamed associate purportedly had access to those ticket blocks based on two agreements: one Carton had with a company that operates two arenas in the New York metro area and one the associate had with a company that promotes live music and entertainment events. Neither of those agreements existed, according to officials. Once they got the investors' funds, Carton, Wright and the associate used them to pay personal debts and repay prior investors as part of a Ponzi-like scheme, the complaint alleges. Carton allegedly wired money to several casinos. The scheme dates back to the fall of 2016, when Carton, Wright and the associate exchanged emails and texts regarding their existing debts, according to the complaint. On one day, they discussed the debts by email. Wright listed eight options for repaying the debt, including "Run to Costa Rica, change name and start life all over again -- may not be an option," the complaint says. Carton responded, saying, "Don't forget I have $1m coming tomorrow from ticket investor. will need to be discussed how to handle," the complaint says. Later that fall, Carton began negotiating with a hedge fund regarding a transaction in which the fund would give Carton capital to finance the radio host's purchase of event tickets, which Carton would then re-sell at a profit, according to the complaint. In early December, the associate texted Carton and Wright about using the capital not to buy tickets, but "to repay debts," the complaint says. The next day, Carton emailed the hedge fund five agreements between the associate, a company controlled by the associate and the concert promotion company. In each of the purported agreements, which prosecutors said were fraudulent, the concert promotion company agreed to sell the associate's company up to $10 million worth of tickets to different concert tours. The day after that, Carton and the hedge fund entered an agreement under which the fund would give Carton up to $10 million to be used to purchase the tickets. The fund would get a share of the profits from the resale, the complaint says. Neither Carton nor a rep for him could immediately be reached for comment. WFAN is owned by CBS. CBS Radio said in a statement it was aware of the situation and cooperating with authorities. Information on an attorney for Wright wasn't immediately available. Federal prosecutors blasted the ill-gotten gains Wednesday. "Their schemes were allegedly propped up by phony contracts with two companies to purchase blocks of concert tickets, when in fact, Carton and Wright had no deals to purchase any tickets at all," Acting U.S. Attorney for the Southern District of New York Joon Kim said in a statement. "As alleged, behind all the talk, the Wright and Carson show was just a sham, designed to fleece investors out of millions ultimately to be spent on payments to casinos and to pay off other personal debt." The securities and wire fraud counts each carry a maximum sentence of 20 years in prison and fines ranging from $250,000 to $5 million. In a related civil case, the Securities and Exchange Commission said Carton in mid-2016 solicited investments in ticket reselling enterprises after he accrued millions in gambling-related debts to casinos and other third parties. The SEC said he provided fabricated and forged documents to investors, claiming access to large quantities of face-value tickets to upcoming concerts by artists including Adele, Katy Perry, Justin Bieber, Roger Waters, Metallica, and Barbra Streisand. The civil case against Carton is tied to Joseph Meli, a New York-based businessman who was separately charged earlier this year with operating a Ponzi scheme that cheated wealthy people who thought they were investing in ticket businesses for popular shows and concerts, including Broadway's "Hamilton." In one instance, the SEC complaint alleges Carton provided an investor with documents referencing a purported agreement between a company controlled by Meli to purchase millions of dollars' worth of Adele concert tickets at face value directly from Adele's management company, even though there was no such agreement. The SEC alleges Carton and Meli used new investor funds to repay earlier investors and other preexisting debts, including Carton's debts to casinos, rather than buying tickets, as promised to the investors. Carton and Meli misappropriated at least $3.6 million from two investors, with Carton misappropriating an additional $2 million from one of those investors, according to the SEC's civil complaint, which references an email Carton wrote to Meli last year in which he said he had $2.5 million in outstanding debt due in 30 days after a casino froze his account. Married and a father of four, Carton has co-hosted the popular sports talk show with Boomer Esiason since September 2007. He started his career in Buffalo in 1991, with stops along the way in Cleveland, Philadelphia and Denver. He is also the founder of a charity for children with Tourette Syndrome called TicTocStop. Carton and two of his children have the condition.